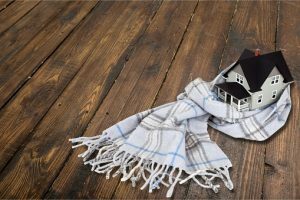 Colder weather will soon settle into the Capital District, and that means the heating system in your Albany home will soon be busy. If you’re concerned about the health of your heating system this winter, it could be time to call Family Danz. Often, there are warning signs that let you know you’re in for some heating repair services. 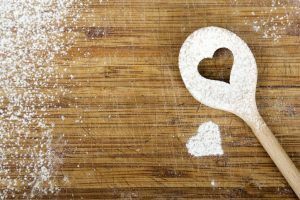 If you’re on the lookout for them, you’ll know when an issue is about to arise – and take proactive measures. Most likely, trouble with your furnace or boiler started well before this heating season. Did you notice your heating bills were higher than normal last year? If you answered yes, it might mean your system was working harder than it should have been. Or, if you have an older heating system, it may simply be losing efficiency. Did you notice some rooms were warmer, or colder, than others? If so, it may not necessarily mean you need heating repair in your Albany home. It may, however, require some balancing and adjustments to your ductwork, which is a job for your heating contractor. 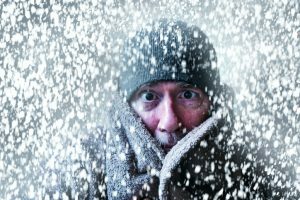 Did you have your furnace maintained by an HVAC professional? If you answered no, you may have some problems. 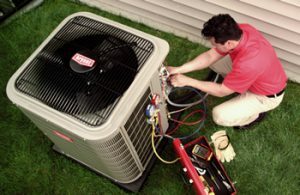 Heating maintenance helps ensure all parts are well-oiled, no minor issues exist, and filters are clean. Did you notice knocking or pinging sounds when you started up your system? If you have a radiator system, these noises can be common, but shouldn’t be too loud. If your furnace is making loud noises, especially screeching, banging or grinding ones, then you likely need heating repair for your Albany home right away. Did you notice a smell that wouldn’t go away when you started up your system? It’s normal for there to be a “basement-like,” musty smell when you first turn on your furnace. After all, it’s sat dormant for months. But if the smell lingers, you likely need a filter change. Of course, in the event of a burning odor, turn your furnace off right away and call your HVAC dealer. If you smell gas, leave your home immediately and call the fire department. You should know, you can count on Family Danz to help when you need heating repair for your Albany home. Our highly skilled technicians can help you, no matter what your heating concerns may be. Your comfort and safety are always our number one priority, and we always treat you like family. We can repair virtually any make and model of home heating equipment, and we’re happy to help you should you need a furnace or boiler replacement. Plus, we offer annual maintenance plans that will keep your heating system in great shape, this winter and for years to come. So when you need heating repair for your Albany home, Family Danz is ready to assist you. Simply call us at (518) 427-8685 and we will be more than happy to help meet your needs. Winter weather is on its way. Are you worried that the furnace in your Albany home might not be up to snuff? Nobody wants to deal with furnace repair once it gets cold and snowy. Not to mention, a total breakdown can be costly. So if you’ve noticed any issues at all with your furnace, you should give Family Danz a call. Many times, people will put off getting their furnace looked at. They might worry they’ll feel silly if there’s nothing wrong with it. Or, they may think there’s only a minimal problem and calling a technician out to look at it will be a waste of time and money. Sometimes, they may not know for sure what’s going on and are not sure how to express their concerns to their contractor. First and foremost, Family Danz cares about your safety. At Family Danz, you can rest assured that we take your call seriously. We’d much rather you be safe than sorry. As a result, we offer 24/7 emergency furnace repair in Albany, including weekends and holidays. Our skilled technicians have been trained to offer repair for both gas and oil furnaces, on most makes and models. Still not sure you should call for furnace repair? Noisy Operation: Of course your furnace isn’t completely quiet when it operates. But if you notice it’s been getting louder or making unusual noises, it’s time to have it checked out. Pumping Up the Heat: If you keep turning up the thermostat, but aren’t feeling any more comfortable, there could be a problem requiring furnace repairs for your Albany home. A faulty thermostat, ductwork or a problem with the furnace itself could all be the culprit. Your tech can tell you what’s wrong. On/Off/On/Off: If your furnace is cycling faster than Lance Armstrong, that’s not a good sign. It could have a rapid cycling condition. You’ll want to have it looked at, as it could be a problem with the wiring or the ignitor. Escalating Energy Bills: If your energy bills are on the rise, but there haven’t been any rate hikes or increased usage, then that means your furnace isn’t operating as efficiently as it should. 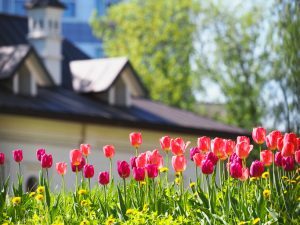 Getting furnace maintenance can help, but if you’ve been getting regular maintenance and there have been other furnace problems, you may need furnace repairs in your Albany home. For your convenience, Family Danz services all makes and models of furnaces, and we pride ourselves on providing prompt service, especially to those most in need without heat.Our technicians are factory-certified and will thoroughly evaluate the furnace repair needs of your Albany home, and find the best solution to help make your home as comfortable and energy efficient as possible. They’ll arrive at your home on time are able to address any questions or concerns that you may have. Don’t hesitate to call us for the furnace repair needs of your Albany home. Family Danz Heating & Cooling is ready to assist you with your furnace concerns. Simply call us at (518) 427-8685. We’ve had unseasonably warm temperatures so far this fall, so your furnace is probably the last thing on your mind right now. But, getting your heating system maintained is an important step toward ensuring that it runs well this winter. 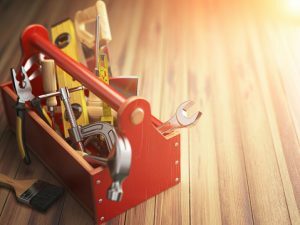 Unfortunately, many people think that preventive maintenance is just another way heating contractors try to make money, and that it isn’t really necessary. That couldn’t be further from the truth. In fact, ENERGY STAR strongly recommends it. Their website states, “Maintain your equipment to prevent future problems and unwanted costs. 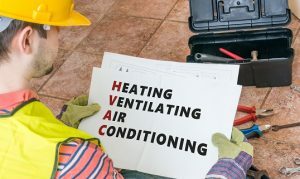 Keep your cooling and heating system at peak performance by having a contractor do annual pre-season check-ups.” At Family Danz, we offer fall preventive maintenance because we actually like saving you money. We know in our experience that the heating systems that most often fail on those cold winter nights are the ones that haven’t received proper maintenance. Lack of maintenance can cause both large and small problems with your system. To get the preventive maintenance you need, simply call us at (518) 427-8685. We will be more than happy to assist you. Summer is quickly nearing the end, and cooler fall days are on their way. 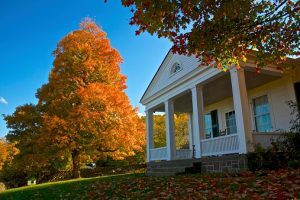 You’re probably aware that there’s a lot on your to-do list, both inside and outside of your home, as you prepare for the autumn weather ahead. We’re sharing this checklist to help you as you prepare for the cooler weather to come. It’s that time of year again – the time for you to call your heating contractor to schedule your heating system maintenance. This will help ensure your system is operating properly, and providing you with maximum efficiency and comfort. If you have a wood stove or fireplace, you should have it inspected by a professional every year. That way, you’ll have the peace of mind in knowing it will be ready to fire up on those chilly nights ahead. On your ceiling fan, that is. Make sure your blades are moving clockwise to force warm air down into your living space. This will allow you to turn your thermostat down a couple of degrees, which in turn will help you save on heating costs. Replace batteries and test alarms to make sure your smoke and CO detectors are working as they should be. In this case, an ounce of prevention is definitely worth a pound of cure – properly operating detectors can save your life. Are your windows and doors drafty? Now is the time to look for cracked windows and leaky seals, and get them repaired with caulk and weather-stripping. Yes, it’s important to take care of your AC unit in the fall, too. Clean around it, removing any leaves or debris that have accumulated around it. Cover the unit loosely to protect it from the icy, snowy weather ahead. At Family Danz, fall is a busy time for us, too, as we help customers with their annual preventive maintenance, and install new heating equipment for those who want to get ahead of Old Man Winter. When you’re ready to get the fall heating services you need, we’re ready to help. Simply call us at (518) 427-8685, and we’ll be more than happy to assist you with any furnace need you may have.